As we close the books on an interesting 2012 calendar year, it’s time to look back and remember the year’s most popular and widely linked posts here at IBleedCrimsonRed.com. The popularity of some of these was surprising. Others that we thought would be surefire traffic magnets didn’t even crack the Top 20. Not surprising at all was the fact that recruiting, scandal and controversy drew the most attention, but readers gave a nod to feel-good stories, too. So, without further ado, in order of popularity as determined by GoStats and Google Analytics: Here are the ten stories y’all were most interested in last year. We expected the Fax Cam feed from BAMSRadio.com would generate page views, and boy did it ever. 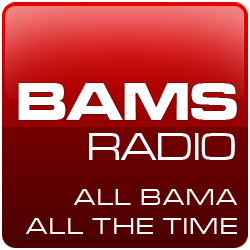 On National Signing Day 2012, BAMS and this site were flooded with traffic. A few days later, we caught up with the curvy model the whole internet was talking about that day, and her story was the runaway winner. When Georgia’s Isaiah Crowell was dismissed by Mark Richt after a weapons charge, teammate and OLB Cornelius Washington posted a somewhat whiny, self-pitying rant on his Facebook page. He almost immediately received some scathing feedback from “Bobby,” Fans around the country ate it up and made this a top destination for weeks. A jubilant Alabama Crimson Tide locker room erupted in celebration following the team’s win in the 2012 BCS Championship Game. It was captured on video and this post went viral in minutes. It’s definitely worth another look, as Alabama can make BCS and college football history with a repeat next Monday night in Miami. Former Alabama RB Trent Richardson escorted recovering Leukemia patient Courtney Alvis to her senior prom last April, earning praise for such a selfless act of kindness. But when one ESPN blogger claimed that Richardson comes off cocky in interviews, Alvis’ father took issue. LivingCrimson told the dad’s story and this post stayed on the What’s Hot List for what seemed like forever. Two Auburn students were reportedly accosted and insulted by members of the football team at a local McDonald’s, resulting in the arrest of the victims. Their father spoke out, using social media and an Atlanta area radio show. This was an IBCR News post. Those usually generate page views because they’re breaking items. But this one went viral and the story eventually made headlines. Another out-of-the-park post from LivingCrimson told us how Jesse Williams parents and six other family members all got new tatts to commemorate the Monstar’s contribution to Alabama’s BCS Championship team. Perhaps no recruiting battle in the country drew as much attention as that for Geismar, LA’s Landon Collins. Collins committed to Alabama, much to the chagrin of his mother, who visibly and vocally expressed her displeasure over her son’s decision to spurn LSU. What followed was a wacky chain of events and this was one of the most clicked pages of the 2011-2012 recruiting season. Auburn faithful always feel that they get snubbed by media and business alike in a state where they’re outnumbered by a two to one majority. Ah, the Rodney Dangerfield of the SEC was at it again. Georgia players provided a little locker room bulletin board material just before the Bulldogs’ date with Alabama in the 2012 SEC Championship Game. Talking smack before a big game like that never ends well, but boy did this post take over the month of December, only recently dropping off of the What’s Hot list. Occasionally, we like to throw in a little snarky satire, which worked like a charm with this post after Arkansas fired Bobby Petrino last April. Arkansas fans have the best sense of humor of anyone in the SEC, and there wasn’t a hog message board that didn’t link and laugh.